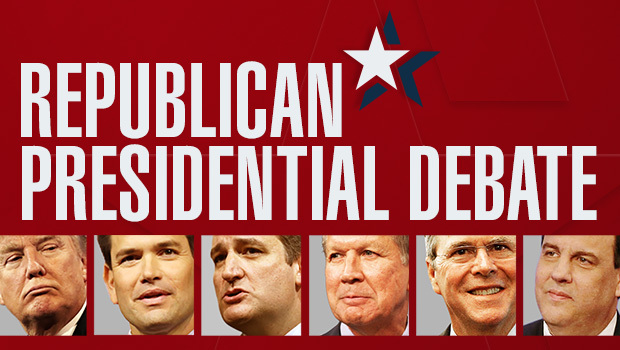 CBS News is announcing the criteria for the ninth Republican presidential debate, which will take place at the Peace Center in Greenville, South Carolina on Saturday, Feb. 13. 3) place among the top five candidates in an average of national and South Carolina Republican presidential polls conducted over a four-week period starting on Jan. 15, 2016 and recognized by CBS News; and receive a minimum of 3 percent in the Iowa, New Hampshire results or the South Carolina or national polls. To be included, polls must be conducted and released to the public before 12 p.m. ET on Feb. 12, 2016. New Hampshire voters go to the polls Tuesday, while Iowans weighed in during their caucuses last week. Ted Cruz, Donald Trump and Marco Rubio topped the GOP caucuses, while Ben Carson received nine percent of the vote, and Jeb Bush won three percent. Rand Paul won five percent, but he ended his candidacy soon after the caucuses. CBS News' "Face the Nation" anchor and principal moderator John Dickerson will be joined by CBS News Chief White House Correspondent Major Garrett and The Wall Street Journal's Kimberley Strassel as panelists for the debate.